If you feel that you need extra psychological support then we highly recommend the one and only Nick Irving. Nick is a psychotherapist and NLP Guru and has had fantastic results with our clients over the years having trouble dealing with specific personal issues that may have been holding them back from achieveing their health and fitness goals. Leon works down at Body Rush Gym with us. Leon has over 20 years practical experience helping piece people back together again after injuries. Sportlink are Norwich & Norfolk's only specialist sports shop that offers dedicatedrunning shoes & video gait analysis supervised by highly expert, qualified staff! All our clients are thrilled with the service and the products that they recieve from Neil and Steph. Whats more.. If you tell them we sent you - they will give you a small discount! and fitness fuels. Based in Norwich these people are extremely friendly and always fab offers on proteins and fitness products. Norwich Meditation teacher Peter Francis offers a unique approach to learning non-religious meditation. An experienced practitioner, Peter describes himself as a Meditation Personal Trainer, offering one-to-one classes for anyone who would like to experience the health benefits of meditation. If you have tried or are thinking of trying Accupuncture then we recomment Naji at Elements of Health Clinic in Norwich. Naji is the best and most professional accupuncturist we have found to date. What this man doesn't know about accupuncture isn't worth knowing! Head to Toe Beauty are a fantastic resource to find local business that can suit your needs. Whether you want to pamper yourself, get fit or find an alternative therapist this site has a lot to offer. Shop online for fitness equipment at low internet prices with fast home delivery service. Tracey Woodhouse is winner of 2010 make up artist of the year. We highly recommend her for weddings, proms, modelling shoots and various events. Her website is full of tips and she is extremely friendly and approachable. Contact her for advice or book her for your next special event. 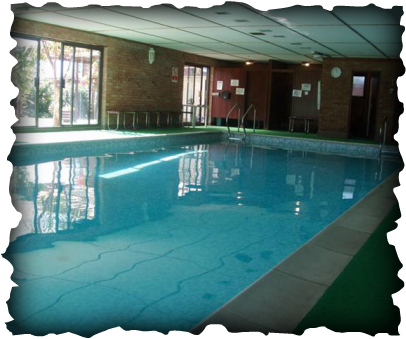 Private Timeshare Swimming Pool For Fitness, Families and Fun A beautiful, fully heated purpose built indoor swimming pool, set in a quiet farm house with beautiful gardens on theoutskirts of Norwich (Ludham) available for timeshare, on one offor regular basis. Perfect for families young or old, or just some relaxing time out for you and your friends or family. Great for family birthday parties or special days out. Fully heated and equipped with changing area facitilies. Extremely friendly people and great prices for hourly rates. Discounts available for Block Booking.